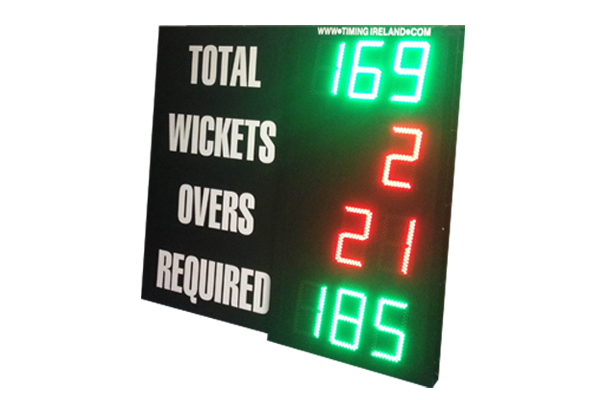 LED Electronic Cricket Scoreboard CS-3 with LED Scoring Digits for Total, Batsman Number & Score, Wickets, Overs, Last Man & Runs Required. This can be altered depending on your preference / requirement. 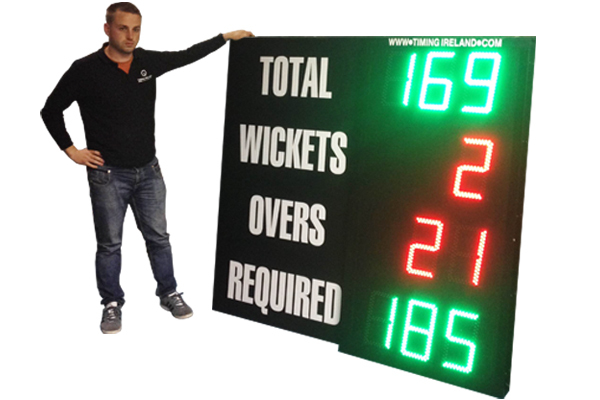 Controlled Wirelessly with a Remote Controller with an LCD Screen. 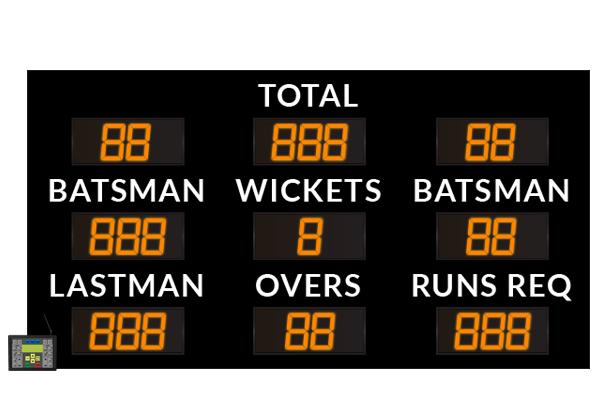 Cricket Scoreboard CS-3 includes permanent sticker graphics for labels.